With a whole month of programming and 45 performances, including 17 free shows and 23 free dance classes, the 19th edition of the Vancouver International Dance Festival brings local, national, and international dance to the stage throughout March. The amount of free programming is impressive, and this year’s focus on Indigenous artists will offer audiences diverse perspectives and varied choreographic and storytelling styles. With six Indigenous productions this year, Indigenous voices seems to be the overarching theme of the festival, representing almost half of the presentations. 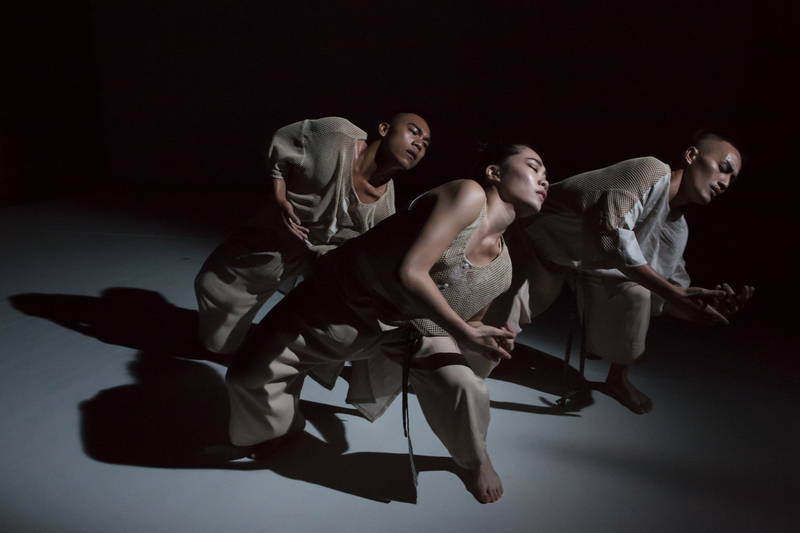 Tjimur Dance Theatre, the first contemporary dance company dedicated to the Paiwan culture of Taiwan, presents Varhung – Heart to Heart. In the Paiwan language, varhung means not only “heart,” but also the internal feelings caused by joy, anger, sadness, and happiness. Metis group, V’ni Dansi will present their Metis jig, Red River Dance, and Raven Spirit Dance presents Gathering Light, a quartet representing a ritualistic representation of the journey from seed to flower. Jeanette Kotowich, who will appear with V’ni Dansi and Raven Spirit Dance, is also presenting her own solo work, Eloise, that explores the concept of land acknowledgement. Olivia C. Davies/O.Dela Arts brings her solo Gidaashi about a powerful wind. Montreal’s Daina Ashbee presents Serpentine, a summary of three of her previous works: Unrelated, When the ice melts, will we drink the water?, and Pour. Another anticipated performance is Japan’s Dairakudakan, a renowned butoh company, as they return to the festival with Pseudo human Super human. Manuel Roque brings his intense, demanding solo bang bang from Montreal, and 10 Gates Dancing brings their surreal duet Trust from Ottawa. Many local Vancouver choreographers will present their work, including Leslie Telford, Noam Gagnon’s Vision Impure, and Kelly McInnes. A range of Indigenous voices, plenty of local talent, national guests, and an international debut from Taiwan make this a highly anticipated VIDF.